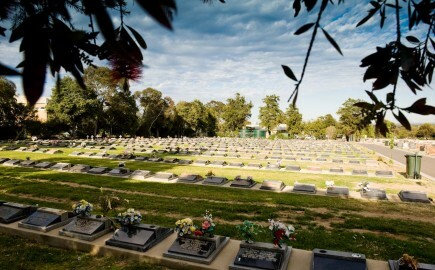 At Centennial Park, funeral services, burial, and memorial sites are much more than final goodbyes. 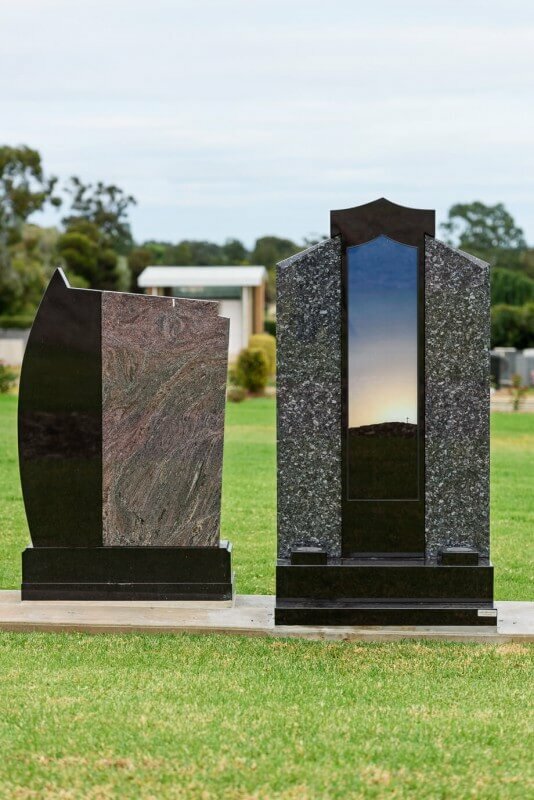 Together they create a valuable emotional anchor point; a comfortable soothing place for family and friends to return and reflect on a life, and its place in their hearts. 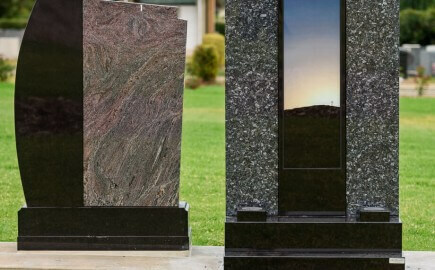 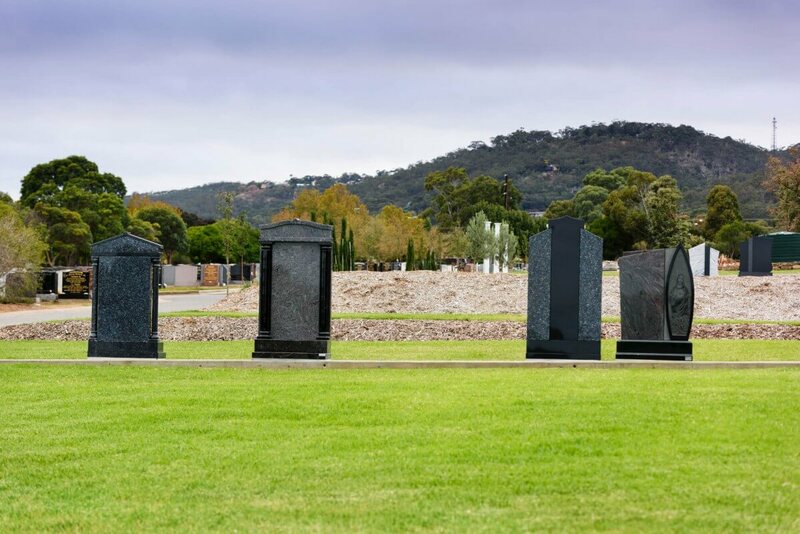 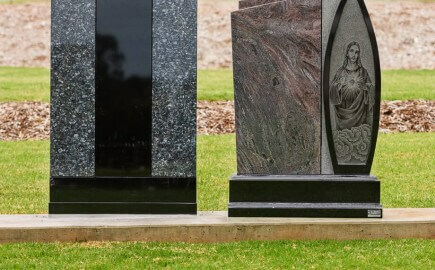 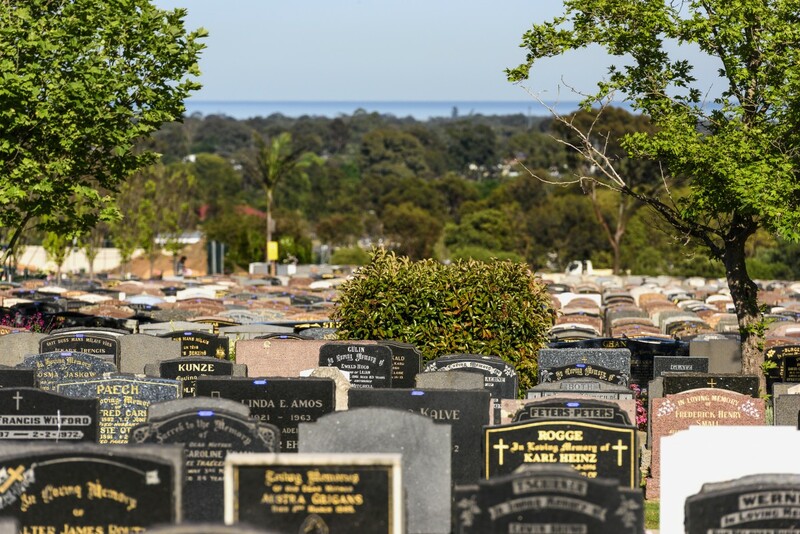 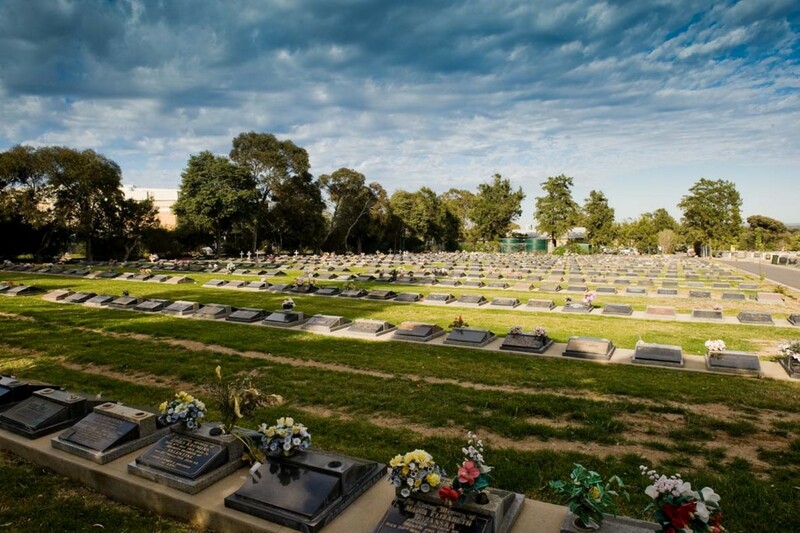 Respecting South Australia’s diverse cultural landscape, we offer families a wide variety of burial options to choose from areas that accommodate specific religious requirements. 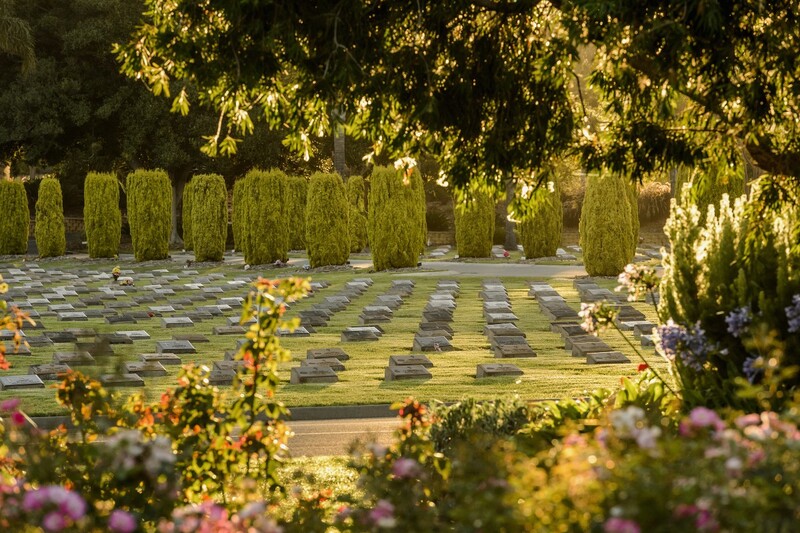 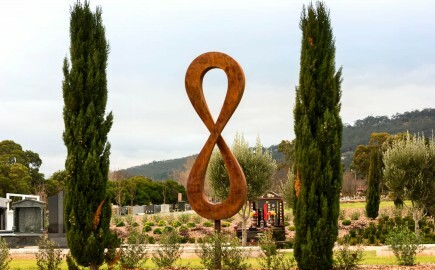 All are situated within the tranquil surrounds of our Park, ensuring a uniquely peaceful atmosphere, and a fitting testimony to the lives of those held dear. 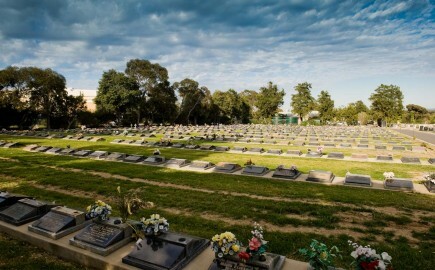 We also offer several burial lawns which are fully irrigated throughout the year. 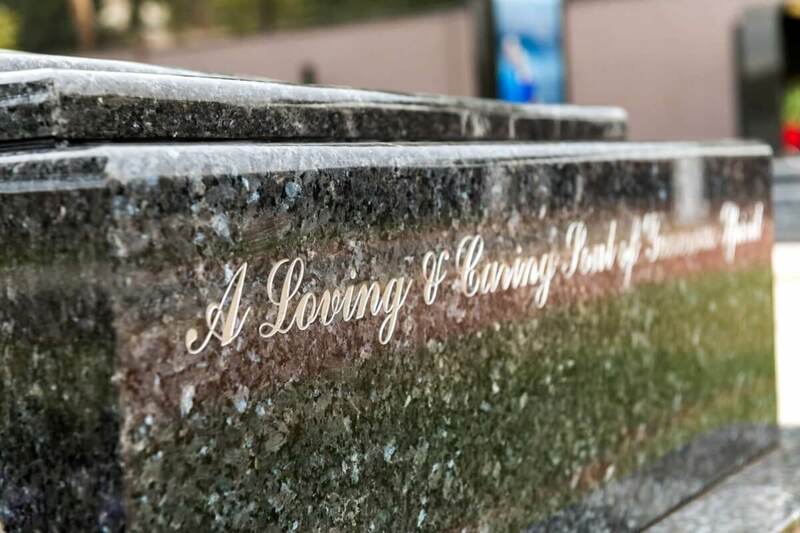 If your preference is for a burial vault instead of an earth burial, Centennial Park can also provide families with both single and double depth concrete vaults within designated areas of the cemetery. 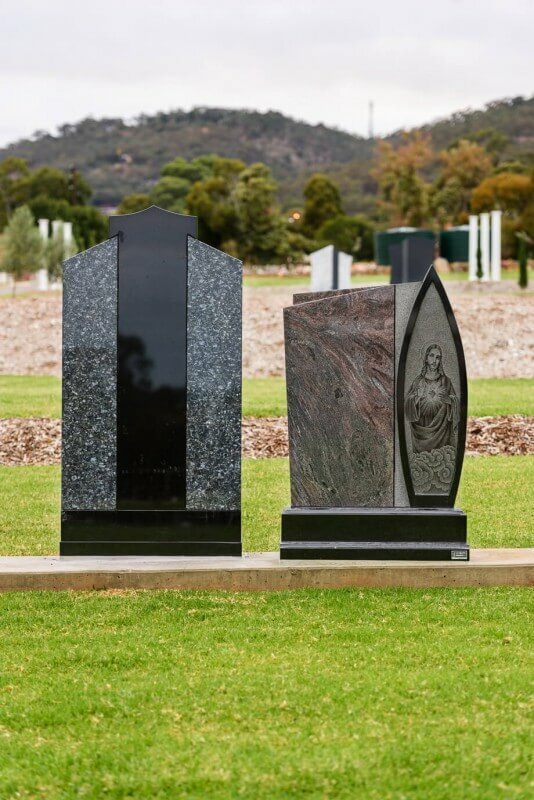 A lawn burial position at Centennial Park features a small sloping headstone as opposed to the traditional upright headstone. 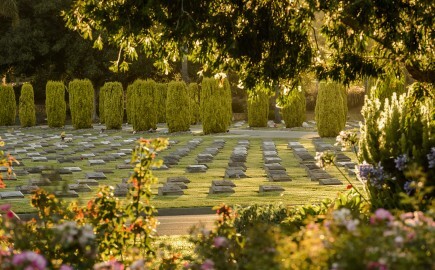 The area is fully irrigated, ensuring the grass remains lush throughout the year. 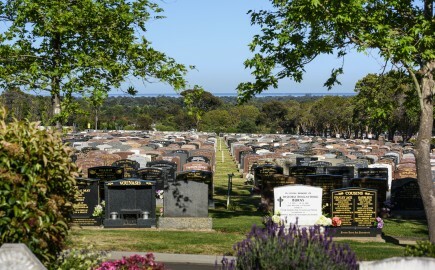 Offering views to the Adelaide Hills and to the ocean. 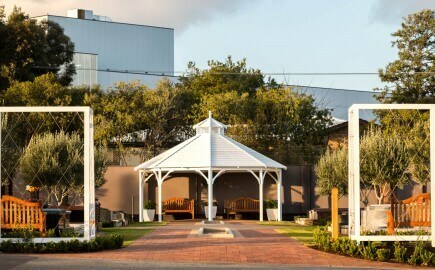 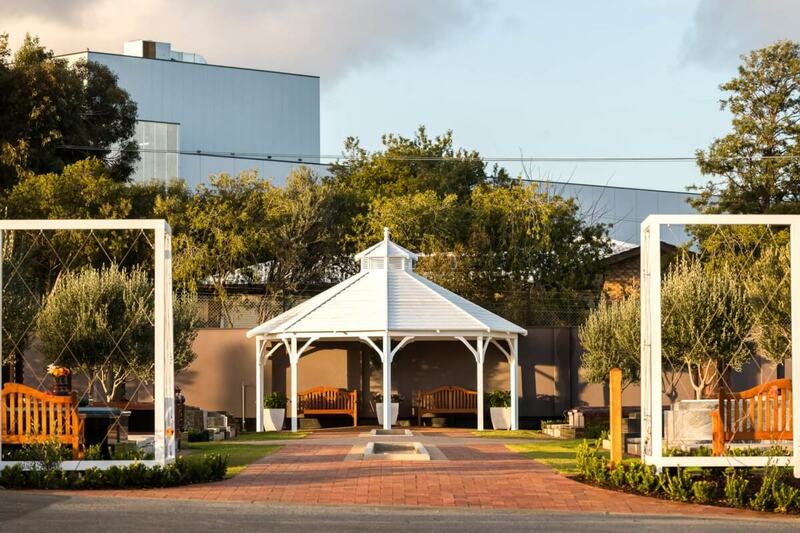 Lined with fragrant olive trees, and including a stunning water feature and an elegant gazebo, Olive Terrace offers the Adelaide Hills as a backdrop and views to the ocean. 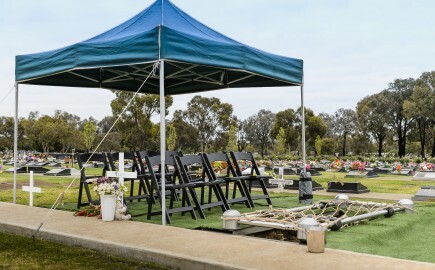 This peaceful new area, with its open-air entrance, ample seating and plantings of colourful annuals is a stately way to respect the life of a loved one. 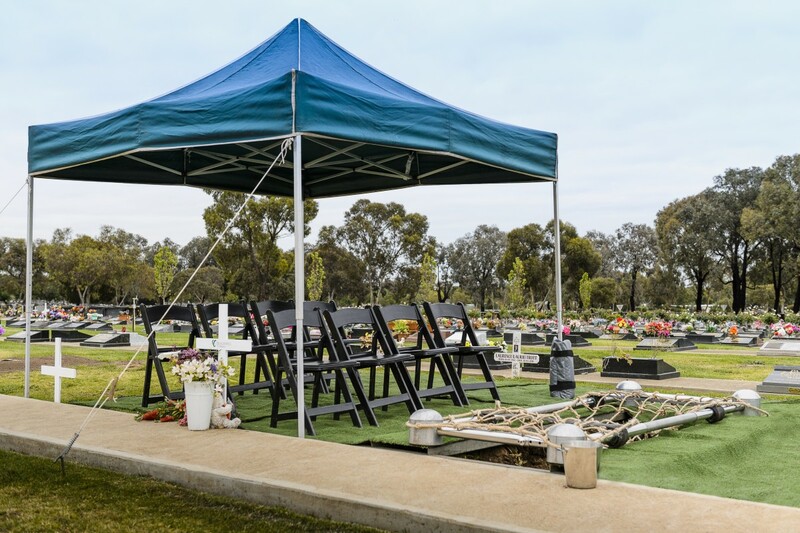 With the option of up to 3 in-ground vault burials and 16 sets of ashes, Olive Terrace caters for family needs for generations to come. 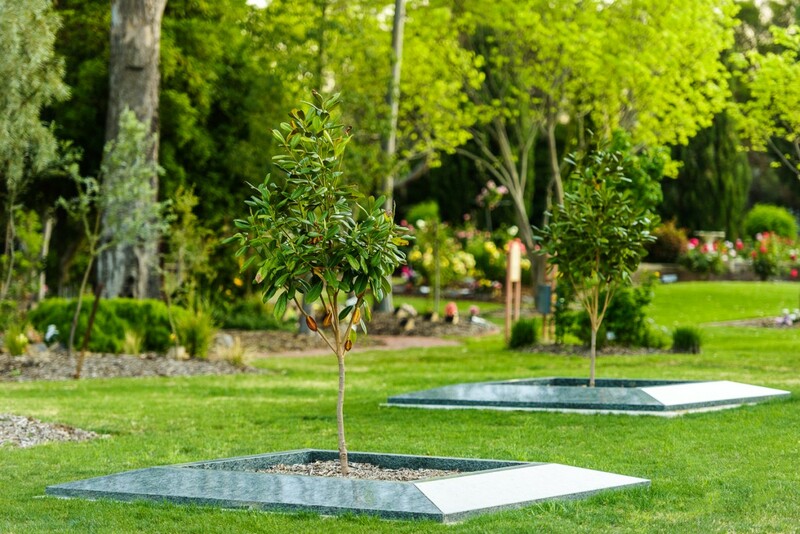 Lined with lush pencil pine and dwarf pomegranate trees, Olive Views is reminiscent of a classic European garden. 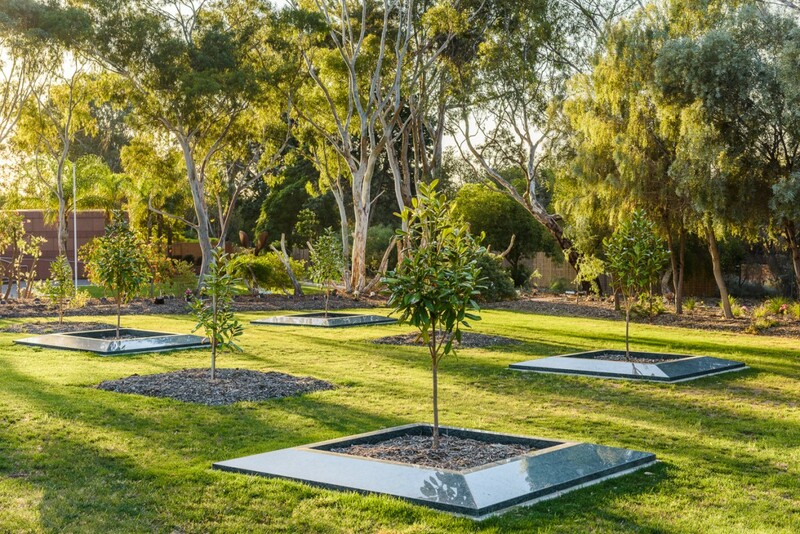 This welcoming area provides an alternative earth-burial option, and like its neighbouring Olive Terrace allows for grand monuments. 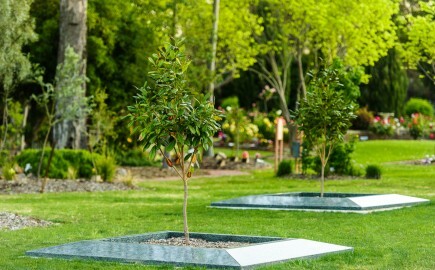 Another contemporary new burial option, Martinique Grove’s intimate, granite-enclosed design centres around a calming cluster of fragrant Magnolia trees that when in bloom will be resplendent with large canopies of stunning, aromatic white flowers. 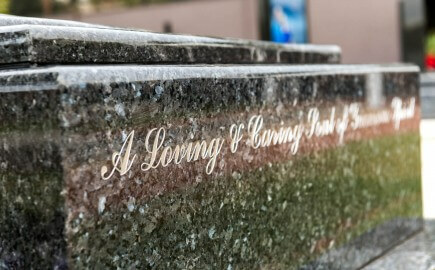 • generous seating to allow unhurried visits. 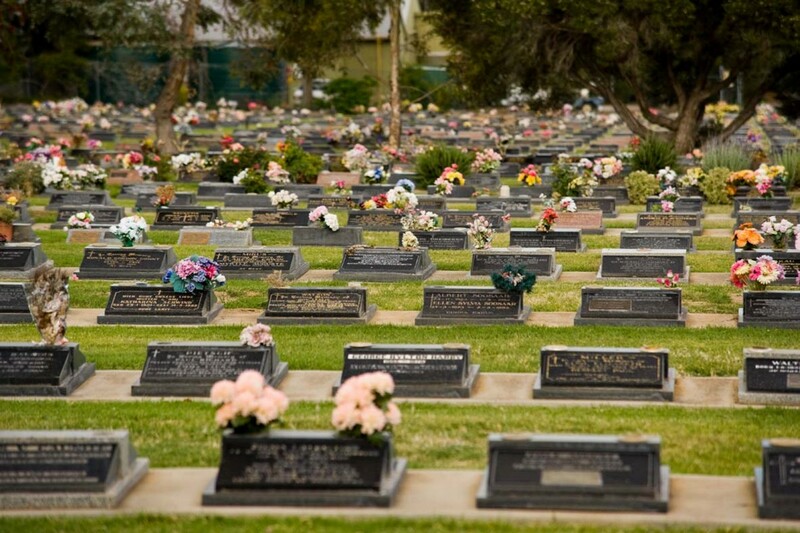 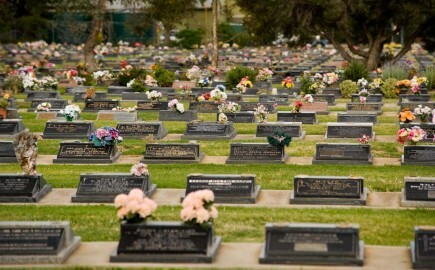 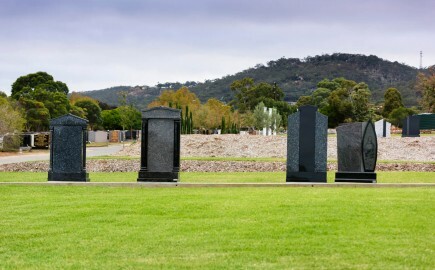 Many families desire a burial position where a large casket or larger headstone is available. 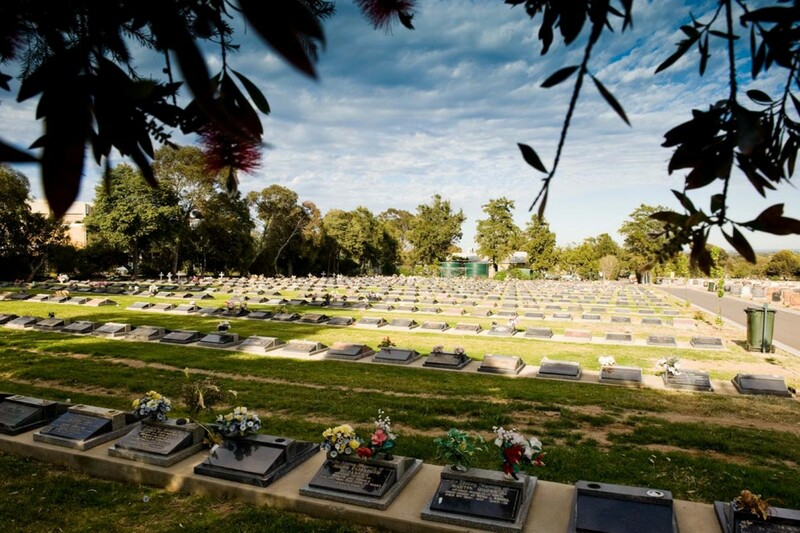 Large burial options are currently available in certain sections within Centennial Park. 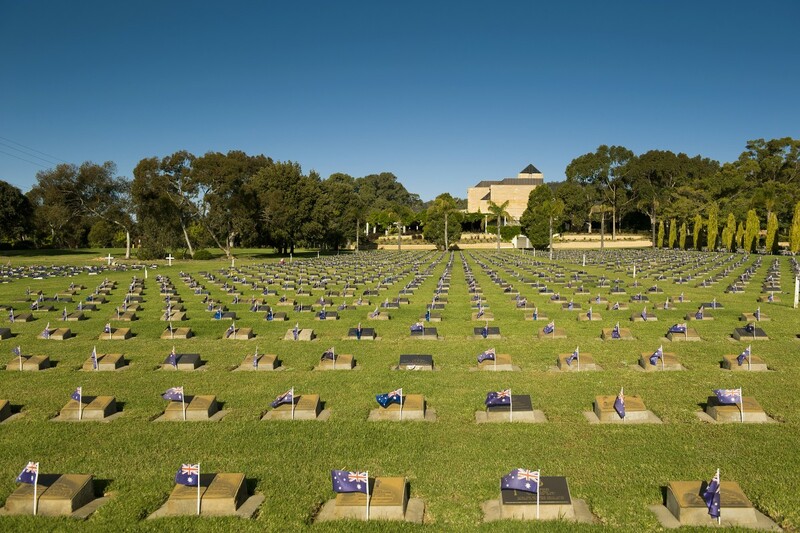 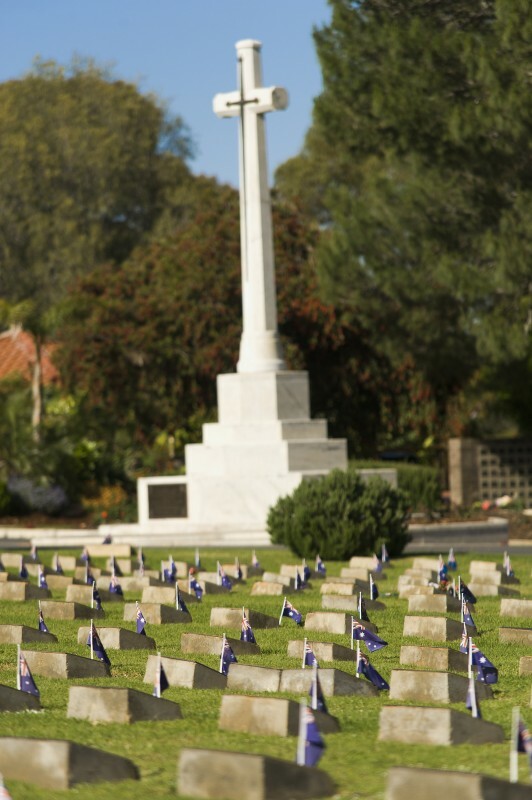 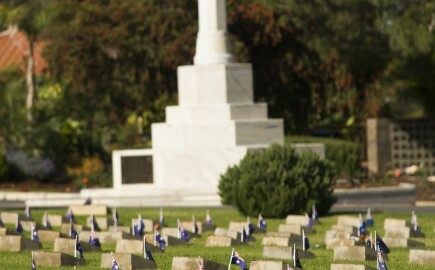 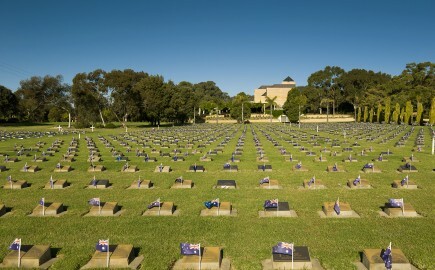 Established in 1956 Derrick Gardens is named after WWII Victoria Cross recipient Lieutenant Thomas “Diver”Derrick, and is a specifically designated area for returned or current service persons. 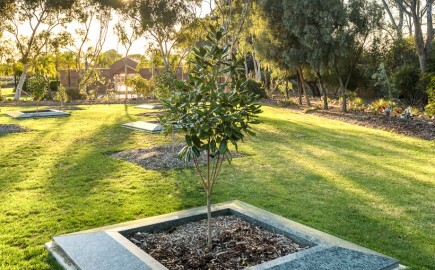 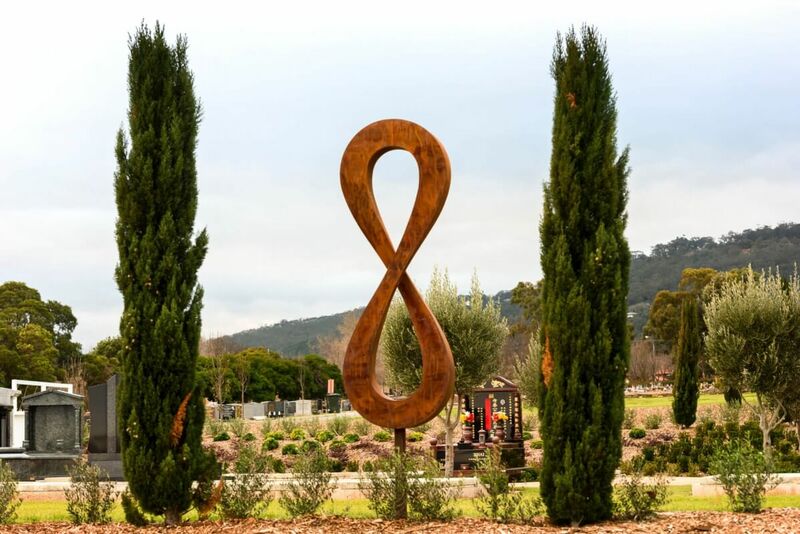 Stationed tall at the base of Derrick Gardens is the Cross of Remembrance, which is protected by two towering pine trees sown from the seedlings originally from Lone Pine in Gallipoli. 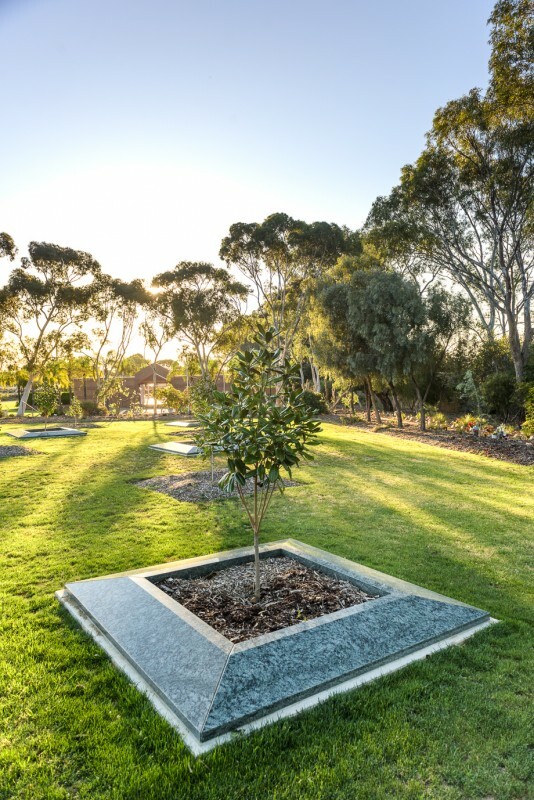 Adjacent to Derrick Gardens the Services Family Garden is specifically designed for spouses and family of service personnel. 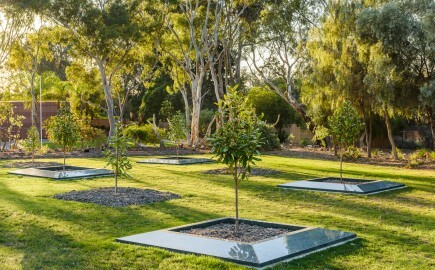 This garden features a variety of spectacularly sculpted roses and Bottlebrush trees that provide shade and protection to the flourishing roses.